If you believe a woman named Wilma Cline, the nationally syndicated radio personality Rush Limbaugh would drive three miles from his $23 million Palm Beach, Fla., estate to a Denny's parking lot so that she could hand over a cigar box concealing dozens of tiny prescription painkillers. The loquacious Limbaugh, his housekeeper says, was often high on "hillbilly heroin." Limbaugh has not been charged with any crime. But in the court of public opinion, the jury on the East Coast is more likely to nod in knowing disapproval because OxyContin is never far from the headlines. Meanwhile, in California, Limbaugh's listeners are probably wondering: What in the world is OxyContin? 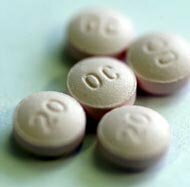 One of 59 prescription pain-relievers using the active ingredient oxycodone, OxyContin is most commonly prescribed for cancer patients and others with chronic, debilitating pain. Oxycodone is not new. Neither is its potential for abuse. German researchers noted "striking euphoria" among users of the drug as early as the 1920s, according to a DEA position paper. Police didn't become alarmed until 1995, when drug manufacturer Purdue Pharma began producing a powerful time-released version it called OxyContin. The brand, which is lauded by pain-control advocates, has proven to be the scourge of law enforcement east of the Continental Divide. The U.S. Drug Enforcement Administration reports 454 deaths in 32 states were likely due to OxyContin abuse in 2000 and 2001. The agency determined that nearly 11,000 emergency room visits were due to OxyContin abuse in 2001, a number that has tripled since 1996. The states of Pennsylvania, Kentucky, West Virginia and Virginia all report that at least 50 percent of new drug treatment patients land in rehab due to OxyContin. Yet in the Bay Area -- a place much of the country considers synonymous with drug abuse because of the excesses of the 1960s -- the painkiller is all but unheard of. "I can't remember a case and I've been here a year and a half," said Capt. Trisha Sanchez, commander of the San Mateo County Sheriff's Narcotics Task Force. "There may be individual cases that I wouldn't have heard of, but we haven't seen anything significant." Why? Why would a drug have such lethal consequences seemingly everywhere but here? OxyContin abuse took root in rural communities and quickly became just another cash crop. Down-and-out drug users began pilfering painkillers prescribed to relatives. Before long, they were complaining to their own doctors of phantom ailments that would require medication for pain. Then pharmacies were targeted. Hundreds of pharmacies in the east will no longer carry the drug because it has become such a fashionable target for thieves. Rich Meyer, a special agent in the DEA's San Francisco field office, has an economic theory to explain why the drug has been slow to take hold in California. OxyContin sells for about $1 per milligram on the street, Meyer notes. That means a single 80-milligram pill would cost $80. Mexican "black tar" heroin can be found on California city streets in $20 packets. The White House Office of National Drug Control Policy posits that methamphetamine is king here, crowding out all other drugs. "The San Francisco Bay Area has become a major center for production and distribution of methamphetamine," according to a profile compiled by the Drug Control Policy Office. "Most of the methamphetamine used in the United States is from trafficking groups operating with the supply from California." California's profile mentions OxyContin only once: "In Los Angeles, the diversion and abuse of OxyContin is considered somewhat serious." "People have preferences," explained Gabrielle Antolovich, executive director of the National Council of Alcoholism and Drug Dependence, Silicon Valley chapter. "It's pretty common that there are East Coast drugs and West Coast drugs." But Terrence McGee says that might all be changing. "I would say we see three or four cases every three months," said McGee, lead counselor for First Chance, a non-profit drug treatment center in San Mateo County. "A lot of people are scared of heroin, but people get this medication from their doctor. They don't understand that you can be addicted in five days. They don't realize the consequences." And McGee noted that prescription drug use is far more acceptable in the suburbs than heroin addiction. "I would say that, yeah, we will be seeing more of this -- especially in San Mateo County," he said.